Lancashire Police have issued an appeal to help them find five wanted men. 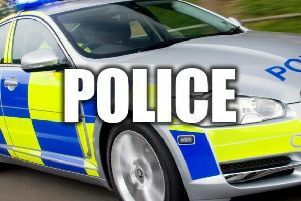 Police say the five men, all from the West of the county, have been outstanding for some time and are wanted in connection with domestic assaults and other offences. Detective Chief Inspector Becky Smith, of West CID, said: “Tracking down wanted individuals is daily business for us and we prioritise those who pose the greatest risk and threat. As part of that work we are focussing our efforts on these four men and I would urge them to hand themselves in to the police so we can speak to them about these offences. Anyone with information should contact West Risk & Threat Unit on 01253 607066 or 101 or independent charity Crimestoppers on 0800 555 111.